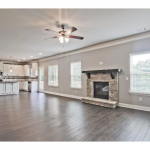 RHG Invites You to Visit This Beautiful Move-In Ready Home at Holly Glen in Gwinnett County! 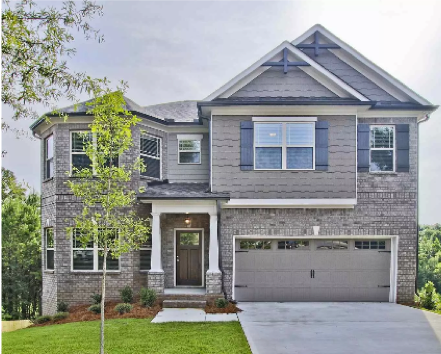 If you are looking for a new home in Atlanta, this is the perfect weekend to visit a beautiful new community by Richardson Housing Group (RHG Homes)! Today, RHG is pleased to feature this beautiful home available for purchase at Holly Glen in Dacula! 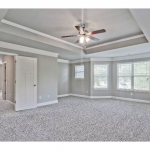 This fantastic home is located at 3283 Holly Glen Court and includes 5 bedrooms and 3 baths on a finished basement. You’ll love the beautiful St. Lawrence home design with an open-concept layout. Hardwood floors extend throughout the main level. The bright and spacious family room with stacked stone fireplace flows into the gourmet kitchen with granite countertops, white cabinetry with Shaker-style doors, huge island, and recessed and pendant lighting. Just off the kitchen is a covered back porch with gas grill connection. 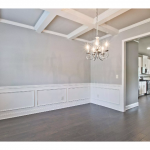 A formal dining room with coffered ceilings is the perfect place for large family gatherings and holiday meals. Site-finished hardwood stairs lead to the second level. 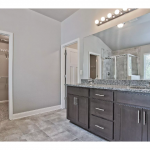 Here, you’ll find a large master suite with trey ceilings, and a luxurious master bath with double vanities, granite countertops, tiled shower, and separate garden tub. 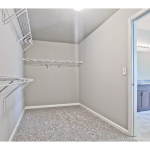 You’ll love the huge walk-in closet. There are three additional bedrooms upstairs as well as an additional bathroom and laundry room. 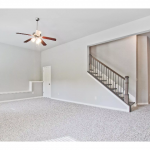 The finished basement includes a den area, perfect for a game room, media room or teen hangout. There is also a bedroom and full bath on this level. A terrace on the basement level leads to the backyard. This incredible home is located on a cul-de-sac homesite. This beautiful home is priced at $349,950. 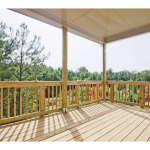 Holly Glen is a beautiful community located in sought-after Dacula in Gwinnett County. 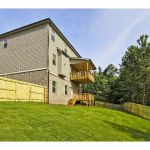 The community is conveniently located near GA 316, offering easy access to Lawrenceville, Atlanta and Athens. Fantastic shopping and dining are located just minutes away at the Mall of Georgia and Hamilton Mill areas. 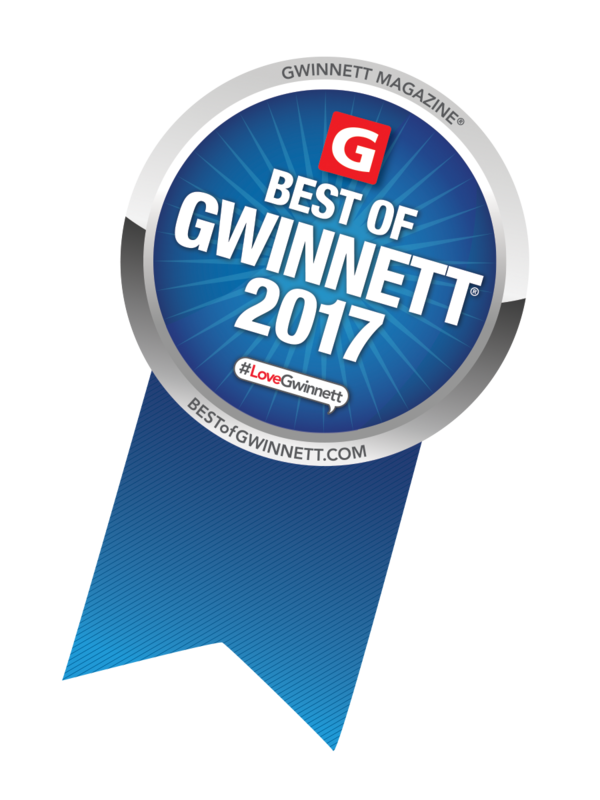 Families will love the excellent Gwinnett County schools! 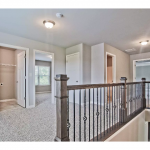 This is the last remaining home in Holly Glen, so schedule your tour today! 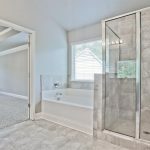 For more information, contact Realtors® Wayne Kelley (770-330-5978 or wkelley@psponline.com) or Phil Nardone (pnardone@psponline.com or 678-794-0431). 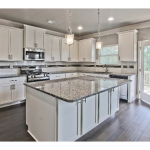 Richardson Housing Group (RHG Homes) builds new homes in Atlanta. For more information on our new home communities in Gwinnett, Jackson, Barrow, and DeKalb Counties, including available homes, photos, floorplans, and more, visit us online at www.RHGHomes.com. To keep up-to-date on the latest news and offerings by RHG Homes, check us out on Facebook at www.facebook.com/RHG.homes. You can also catch up with us on Twitter and see footage of our beautiful new homes and communities on YouTube!